Electrical Bavarian, in London, will serve as a “taxi” for top models. 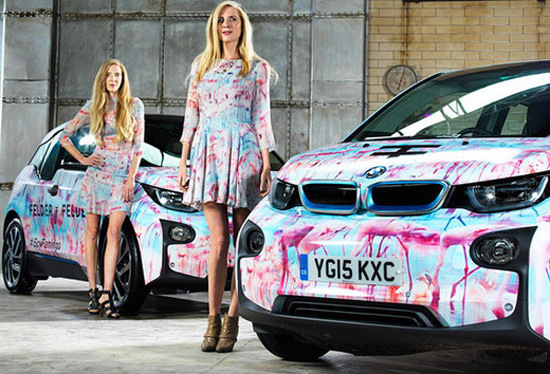 London Fashion Week is one of the most important events from the world of fashion, and an important role on the local streets will have a pink-and-blue BMW i3 model. BMW has supported this action with a fleet of electric BMW i3 models. For their extraordinary design, took care the sisters Daniela and Annette Felder, from the German design studio Felder Felder. They are decorated cars with well known graphic motif Florida Flamingo, and with details of red lipstick color on light blue background.